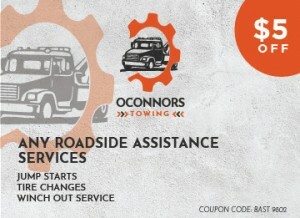 When searching for a dependable tow truck service in Wisconsin, contact Oconnors Towing today. You can choose the best option for our towing services being offered. Actually, each car has its unique factors that must be considered prior to towing. 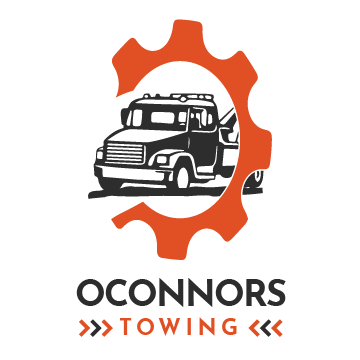 At Oconnors Towing, we will provide you with the right towing service that you need. Contact the best provider in Wisconsin! For your all-wheel-drive car, we recommend the best solution which is the flatbed towing. This is what we believe as the best towing process that your car needs. This can safely and securely tow your vehicle and avoid any possible damages. In this type of towing, no damage will be left to your vehicle’s engine. That is why if you have a four-wheel drive or an automatic car that requires towing, contact Oconnors Towing today for a reliable tow truck service in Wisconsin! You can depend on our medium duty tow truck service in Wisconsin that is the best to find. We have all the technological devices and tools that enable us to accommodate a lot of vehicles. We can provide towing assistance right away. Just depend on Oconnors Towing to provide you the help that you need. Contact the most trusted provider of a tow truck service in Wisconsin today! Put your trust in us when it comes to light duty towing. Our fleet of light duty tow truck service is easy to maneuver and is very agile. They can properly retriever your vehicle that is stranded in a difficult situation. You get the assistance that you need the moment your car becomes a problem. We can promise to assist you with it anytime and anywhere. Our wheel lift towing service is effective and safe. We really can be trusted when it comes to providing this service to you. With the use of wheel lift tow trucks that feature a hydraulic hoist and metal yoke, we can effectively and safely transport your car to another destination. That is why if your car is stuck on one side of the road; call our team of technicians to tow it to a secure place right away. You do not need to solve the issue by yourself. Let alone handle this tough situation. There is only a need to depend on us at Oconnors Towing to get the tow truck service in Wisconsin assistance that you need. 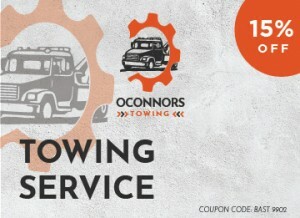 Contact us at Oconnors Towing now!